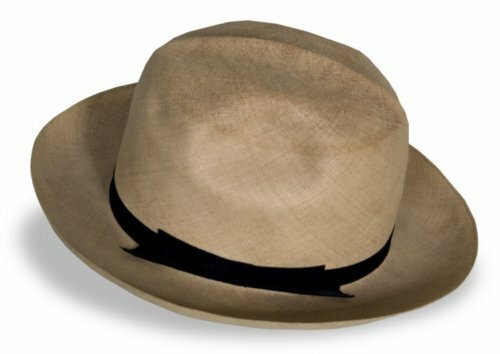 Panama hat worn by U.S. President Harry Truman. Photos of Harry Truman wearing a Panama hat appeared in the press during the summer of 1950. These images were seen by lumberman Frank Hodges of Olathe, Kansas, a lifelong fellow Democrat whose brother had once been governor of Kansas. Considering himself an expert on Panama hats, Hodges felt the example worn by Truman was not of the quality befitting a sitting president, and sent him a new one. This is the Panama hat sent to Hodges by Truman in exchange for the new model. The president's initials, "HST," are stamped in gold on the sweatband inside the crown, and Truman also signed his name on the exterior hatband. The hatband is stamped with the vendor's mark, Brodt's of Washington, D.C.
People - Notable People - Truman, Harry S.